The idea of a regular Music Industry charity luncheon had come from a similar event in the UK called the Silver Clef Music Therapy Luncheon. Chris Gilbey OAM and Peter Hebbes AM were familiar with the Silver Clef concept and Gilbey had just returned from the London event and so a meeting was set up at Peter’s office at Festival Records in Pyrmont in late 1978 and from that meeting Peter Hebbes AM, Chris Gilbey OAM, Ross Barlow OAM and the late Jack Argent decided that Australia should have a major fundraising activity to raise money for charity. The feeling was that such an event would also bring the industry closer together. The team of four then put together a Lunch Committee including Kent Atkinson, Rod Earle, Belle Deverich with Patti Mostyn as Honorary Publicist and then invited 187 members of the Music Industry to sit down to lunch at Sydney's Sebel Townhouse on Friday 16th March 1979. Keynote Speaker for the lunch was John Singleton. The first Golden Stave raised $3,000 which the Government matched at four to one, making a total of $12,000 and hence “The Golden Stave Lunch” was born. Chris Gilbey OAM was the inaugural Chairman with Peter Hebbes AM as Vice Chairman of the Lunch Committee. In 1980 John Bromell and Theo Tambakis joined the Lunch Committee and the second Golden Stave Lunch was held on April 10th 1980 at the Sebel Town House. 1981, Barry Chapman, Ray St Clair, Ashley Coops and Helen Russ joined the Lunch Committee with Peter Hebbes AM elected Chairman with Chris Gilbey OAM Vice Chairman and the third Golden Stave Luncheon was held again at the Sebel Town House raising $25,000. Maryanne Knight, David Douglas, Judy Maguire and Morrie Smith joined the Lunch Committee in 1982 and the 4th Golden Stave Luncheon was again held at the Sebel Town House, total money raised was $40,000. In 1983, Michael Chugg and Peter Jamieson joined the committee with Morrie Smith elected Vice Chairman for the 5th Golden Stave Lunch held at the Sebel on March 18th 1983 raising $38,000. New members to the Lunch Committee in 1984 were Sam Hamilton, Peter Ikin, Bob Jamieson, Chris Meagher and Rod Muir with newly elected Chairman Barry Chapman and Peter Hebbes AM re-elected Vice Chairman and the Lunch this year was moved to the Regent Hotel Sydney (aka The Four Seasons Hotel). This year was the first year the Golden Stave Lunch exceeded 500 guests, each year the Lunch was growing bigger and bigger and raising more money for charity. In 1987 the Lunch went back to the Regent Hotel Sydney and was held on March 13th and John Clark joined the Lunch Committee. In 1988 Larry Warren joined the Lunch Committee and the 10th Golden Stave Luncheon proved to be a very memorable day as the Lunch was moved to the Overseas Passenger Terminal which had no air conditioning and the day turned out to be extremely hot as the guests sweltered under the hot and steamy conditions but in true Golden Stave tradition the guests stuck it out to the end. From 1989 to 1997 the Lunch continued to grow from strength to strength and adopted the Regent Hotel Sydney as its permanent venue. In 1991 the Lunch was moved to the month of June due to conflicts with the Aria awards which were held in the month of March at that time. Since this time the Lunch has always been held on or about the last Friday in June each year. 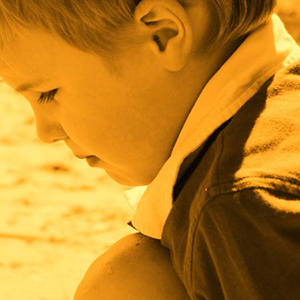 In 1990, the Golden Stave Foundation was formed as a not-for-profit Trust Fund for the purpose of providing money, property or benefits to funds, authorities or institutions, endorsed as Deductible Gift Recipients, which contribute towards the relief of poverty, destitution, sickness, helplessness and misfortune amongst persons and particularly children suffering from physical, intellectual and emotional disabilities. The initial Trustees nominated were Barry Chapman (Chairman), Michael Chugg AM, Chris Gilbey OAM and Peter Hebbes AM. Nick Hampton, as Company Secretary, assisted in setting up the Foundation and Maryanne Knight was nominated as Settlor of the Trust Deed. In future years, two further Trustees were appointed, Graham Fear and Brian Harris with Maryanne Knight appointed Lunch Committee Chairman in 1991. For the 20th Golden Stave Lunch it was decided by the Lunch Committee to seek a larger venue as each year the numbers of guests had grown to the point that people were being turned away as we exceeded the capacity of the Regent Ballroom. So on Friday 5th June 1998 the Lunch was held at the Sydney Entertainment Centre and the day proved an enormous success with over 1,000 attendees a record attendance for The Golden Stave. Since 1998 the regular attendance has constantly been around the 1,000 to 1,200 guests. 1998 proved to be a landmark year for the Golden Stave. The attendance record was again equaled with the Lunch returning to the Sydney Entertainment Centre in 1999. Since year 2000 the Golden Stave has adopted the Hordern Pavilion as its home venue and remains there to this day. In 2001, the Golden Stave Foundation was re-structured, under the helm of the new Chairman, Graham Fear. The Foundation consisting of three internal Trustees, those being Graham Fear (Chairman), Michael Chugg AM and Peter Hebbes AM together with two independent Trustees, the Hon. Peter Anderson and Mrs Lucy Turnbull AO. In 2003, the Foundation formed an operating company with a twelve member Board of Directors. the Golden Stave Pty Limited with Maryanne Knight appointed as General Manager and Ron Welsh as Company Secretary the Board of Directors were, Graham Fear (Chairman), Michael Chugg AM, Alex Coroneos, Paul Donkin, Brian Harris, Peter Hebbes AM, Maryanne Knight, Mick Mazzone, Gill Robert, Wayne Rowley, Larry Warren and Ron Welsh. In 2007, Maryanne Knight stepped down and Larry Warren was appointed General Manager and later that year it was decided to wind up the separate company structure and dissolve the Board of Directors and the Foundation reverted to purely a governing Trust format. The Trustees were increased from five to eight with three newly appointed Trustees, Maryanne Knight, Mick Mazzone and Richard Wilkins, joining Graham Fear (Chairman), Michael Chugg AM, Peter Hebbes AM, Hon. Peter Anderson and Mrs Lucy Turnbull AO. During 2011, Michael Chugg AM stepped down from his role as Trustee and Shaun James was elected as the replacement Trustee. Providing much needed fuel pods for the Child Flight helicopter purchasing PCA syringes for post-operative pain relief and a home ventilator for the Spina Bifida Unit at the Children's Hospital. Ongoing assistance to Nordoff-Robbins Music Therapy and the list goes on and on……………………. The Golden Stave has been very fortunate to have the continual support over the years by the cream of Australian music talent who have kindly donated their time and hence we have had many memorable performances from; 1927, The Angels, Christine Anu, Eric Bana, Jimmy Barnes, The Black Sorrows, Bluejuice, Adam Brand, Catherine Britt, Rhonda Burchmore, Brian Cadd, Joe Camilleri, David Campbell, The Choirboys, Richard Clapton, Beccy Cole, Diesel, Steady Eddy, The Eddys, Tommy Emmanuel, Jon English, Fargone Beauties, Grinspoon, Ganggajang, Adam Harvey, Marcia Hines, Hoodoo Gurus, Jade Hurley, Iva Davies and Icehouse, Jimeoin, Col Joye, Jimmy Little, Lee Kernaghan, Killing Heidi, Mental As Anything, Max Merritt, Midnight Oil, Chad Morgan, Russell Morris, Music Men, Katie Noonan, Ol’ 55, Doug Parkinson, Tex Perkins, Porcelain, Screaming Jets, Glenn Shorrock, Vince Sorrenti, Stone Parade, Billy Thorpe & The Aztecs, Tap Dogs, The Whitlams, The Radiators, Rose Tattoo, Ross Wilson, Kevin ‘Bloody’ Wilson, You Am I, John Paul Young and many more…… with guest celebrity hosts such as Nick Bennett, Stuart Cranney, Charlotte Dawson, Ian “Dicko” Dickson, Robert ‘Dipper’ Dipierdomenico, Bianca Dye, Jabba, Jonesy & Amanda, Rove McManus, Molly Meldrum, Ron Moss (Ridge – “The Bold & The Beautiful”), Andrew O’Keeffe, Mikey Robbins, John Singleton, Adam Spencer, Tony Squires, Donny Sutherland, James Tobin and many more… We are extremely grateful for all their support. In over 35 years the number of attendees to this annual event was consistently well over 1000 and the average amount raised each year is around the $700,000 mark with a total figure raised since 1979 exceeding $14 million and the Golden Stave has a regular new home at the Hordern Pavilion. Faced with declining numbers and falling revenues since the GFC leading into the 2013 Lunch. There was consultation with key long term supporters and after much internal discussion it was decided it was time for change supported by the changing corporate culture of fewer long lunches that it was time to retire the Lunch format after 35 very successful years. 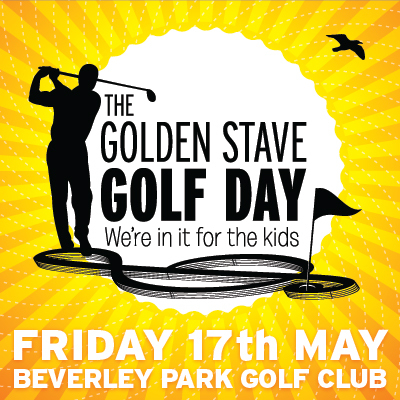 The key supporters and the Golden Stave team fully endorsed the change to a Gala Dinner and 2014 sees the beginning of a new era for the Golden Stave.